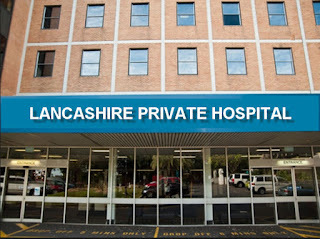 Not be long before we have private hospitals/clinics in Lancashire, run by the likes of privateers Virgin Care. I see the Tory controlled Lancashire County Council (LCC) have awarded £104m to private company Virgin Care Ltd to run the county’s 0-19 Healthy Child Programme for the next five years? 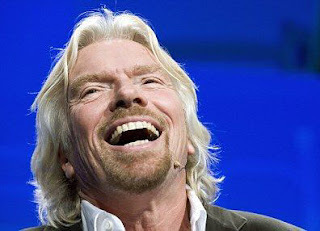 I can't wait till the contract comes up for renewel, Branson's virgin 'Care' recently threw their toys out the pram and sued the NHS over a contract procurement process thus stripping the NHS of more assets. But wait till you read the Case Study below! Virgin Care avoid paying taxes and are snapping up NHS contracts now (even at a loss) knowing they will 'break even' and start to profit after the Sustainability Transformation Partnerships (STPs) begin to take shape as new 'Accountable Care Organisations' (ACOs). Estimates are as early as 2018/19. The Health Service Journal (HSJ) recently exposed a scandalous handout given to private healthcare company Virgin Care by a Clinical Commissioning Group (CCG) in the county of Surrey, England. This brings to light how private companies are plundering the National Health Service (NHS) with impunity like never before, with the blessing of central government. The Surrey Downs Clinical Commissioning Group accidentally disclosed in its October public finance papers a backdoor payment of £328,000 to Virgin Care, owned by billionaire business mogul Richard Branson. This would not have come to public knowledge were it not for the mistake on CCG’s part. In 2016, Virgin Care lost its bid to provide children’s health services across Surrey—a contract worth £82 million. It then sued NHS England, Surrey County Council and six CCGs in Surrey, arguing that there were “serious flaws in the procurement process.” Surrey Downs CCG handed over the payment as a part of their liability in an out of court settlement with the private company. The amount paid by the other parties to Virgin Care remains undisclosed, but some reports suggest that the private company could have received more than £2.5 million from the NHS. This spring, it was reported that Virgin Care was [again] in dispute with East Staffordshire CCG over arrangements in the seven-year prime provider contract for frail, elderly patients, people with long-term conditions and intermediate care. In October, the HSJ reported that Virgin Care was demanding an extra £5 million from East Staffordshire CCG. The anger felt by people nationwide against this daylight robbery is such that a petition, demanding Branson hand back the ill-gotten money to the struggling NHS, reached well over 100,000 signatures within few weeks. Virgin Care, Virgin Care Services Ltd, Virgin Care Ltd, VH Community Services Ltd and Virgin Care Corporate Services Ltd are some of the subsidiaries of Virgin Healthcare Holdings Ltd based in the UK. Virgin Healthcare Holdings Ltd is a subsidiary of Virgin Group Holdings Ltd, belonging to Branson and his family. To “legally” avoid taxes, Virgin Group Holdings Ltd is based in the British Virgin Islands tax haven. It “loans” Virgin Care the money to invest in the care industry in the UK. In return, Virgin Care transfers money to a mother company as loan repayments. Branson’s care companies have been reporting losses since 2012—the year that Virgin Care came to prominence for winning a lucrative £450 million NHS contract in Surrey. This begs the question of why Virgin Care places ever more bids on NHS contracts if it supposedly loses money on them. Despite its reported losses and paying no tax, the company has been aggressively competing to win NHS contacts and exploiting opportunities opened up with the introduction of the Health and Social Care Act. The Act laid the foundation for the acceleration of the privatisation of the NHS, which began through the backdoor during 13 years of Labour rule from 1997 to 2010. Under the Act, it is mandatory for CCGs to put services out to competitive tender if they can potentially be provided by organisations other than the NHS. *Knowing the private market takes a few years to overtake public services, Virgin buy contracts in early ready for the break even period which should be after ACO's are up and running. Published accounts by the Department of Health demonstrate that NHS commissioners spent 7.7 percent of their budget on private sector providers in 2016/17. Over the last five years, Virgin Care alone has won over £2 billion worth of NHS contracts to run NHS and local authority services ranging from primary care services—including GP services, walk-in centres and community-based NHS services—to adult social services. Virgin Care boasts of having 400 services across the country and treating more than one million people a year. Last year, it won a £700 million contract to run health and social care services in Bath and North Somerset. This was the first NHS contract under which adult social care was privatised. The latest is the £104 million contract that Lancashire County Council gave to Virgin Care to run the county’s 0-19 Healthy Child Programme for the next five years. 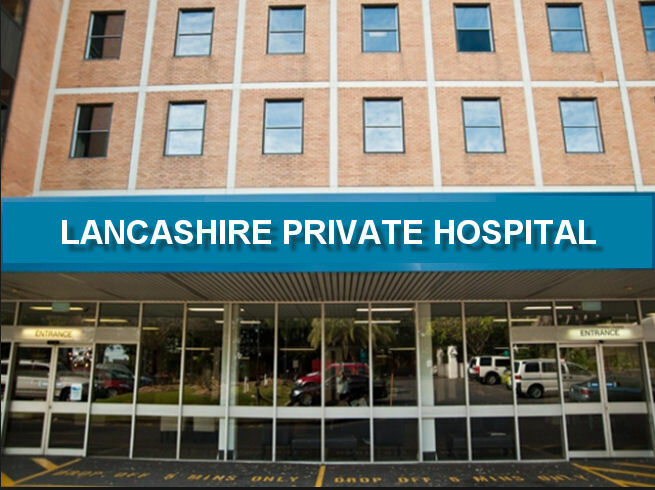 Virgin Care was chosen as the preferred provider over the Lancashire Care NHS Foundation Trust, which currently provides these services before its contract expires in March next year. Trusting their political paymasters in government to create endless opportunities to make inroads into the public provision of health care, this year Virgin Care started their own independent clinics that function entirely separately from NHS or Local Authority services. Patients have to pay for appointments to see health care professionals in these clinics. Virgin Care is not alone in this plunder. Capita, HCA, Circle, Serco, Care UK, Interserve, The Practice, Inhealth and Alliance Boots are among the private operators providing NHS services ranging from direct patient care, elective surgeries, laboratory services, pharmaceuticals, cleaning and maintenance, logistical services and supplies to primary care. The NHS, which has seen the lowest ever funding increase in its entire history and billions of funding cuts imposed as “efficiency savings” over the last seven years, is not placed on a level playing field when it is compelled to bid against the private sector for the contracts. NHS trusts are saddled with massive deficits and are burdened by the crippling impact of the Private Finance Initiative (PFI). Under PFI—massively expanded under the 1997-2010 Labour governments of Blair and Brown—private companies were able to build and maintain hospitals and reap enormous profits, payable to them for decades hence. 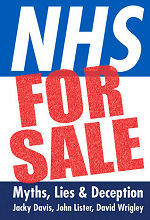 The combined deficit of NHS trusts stood at £770 million in the last financial year. Over the last six years, private firms have made a record £831 million pre-tax profit from PFI contracts, which otherwise would have been spent on patient care. When NHS trusts win contracts and deliver care they are forced to make savings and reinvest in patient care, while private companies winning contracts are allowed to make profits and transfer them to tax havens without difficulty, as revealed in the case of Virgin Care. Numerous reports have exposed how private health companies, including Virgin Care, jeopardise patient care and safety in order to make profits. Some of the practices include replacing trained staff with untrained staff, stopping care packages on which vulnerable patients depend, persuading staff to take home sexual health testing kits to use on friends and family to help make the numbers up, and forcing patients to attend extra appointments to boost profits. On the 17th July this year , new nursing, midwifery and other health students such as occupational therapists and physiotherapists had their NHS bursaries stopped. Nurses no longer receive NHS bursaries to cover their tuition fees. Instead, they will have to apply for student loans. The Tories claim ending the bursaries will free up about £800m a year to create additional nursing roles by 2020. But removing the NHS bursary simply deepens the nursing recruitment crisis. 40,000 nursing posts are currently unfilled, and ending the Nurse bursary scheme will stop students from working class and mature backgrounds applying to train. Nursing students already face very different challenges from students studying other disciplines. For example, trainee Nurses have little time to do paid work to cover their living costs at university as they are required to undertake unpaid clinical placements during non-term time. More than 20 charities, medical and professional bodies and trade unions have called ending the bursary an “untested gamble”. The NHS Bursary Scheme was previously funded by Health Education England (HEE), which itself is funded by the government - i.e. by you and me as taxpayers. The number of nurse training places available each year was limited to how much they could afford to fund. The Tories claim this number wasn’t enough to supply the quantity of nurses needed and the number couldn’t be increased because of 'constraints on government spending'. The Department of Health (DoH) state this is "a result of ongoing government policy to reduce the national budget deficit" [National debt] - but this is contrary to the Tory manifesto of ring-fencing NHS spending. The Tories claim they wanted to increase the number of places available, but were unable to do so with the money available. So rather than requesting more money be made available to recruit more nurses, they STOPPED the bursary: thereby turning it into a debt (loan). Starting out life with student debt only adds to the burden of stress. 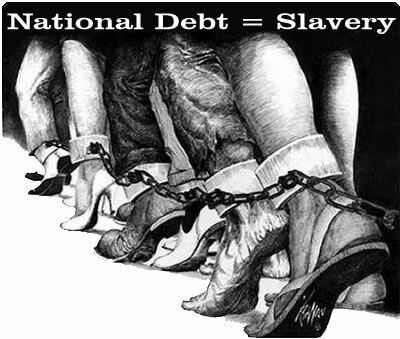 Now add to the mix a mortgage and perhaps a car on finance, and "every employer would love to employ someone with such high debts because they won't cause any trouble" (Tony Benn 2008 Question Time TV panel show - see link below).